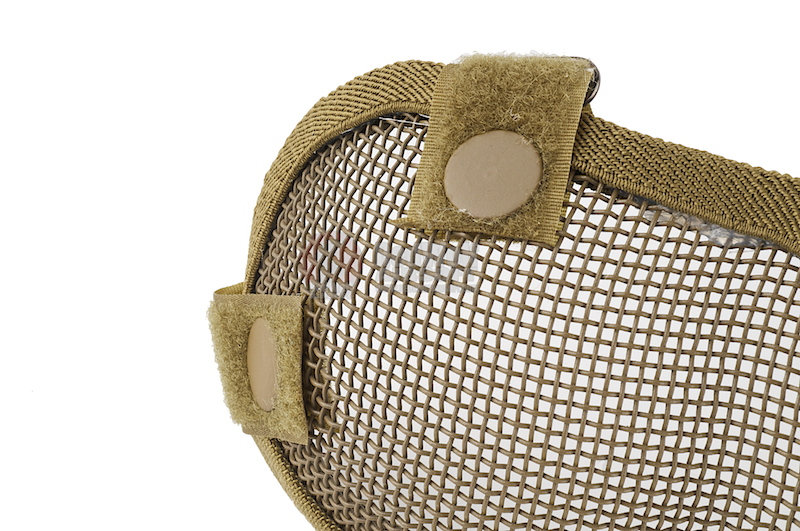 Velcro blackstraps attached mask, this protector has a comfortable and secure fabric cover along the rim of the steel mesh portion. The mesh itself is plastic coated so as to resist weather and rusting. 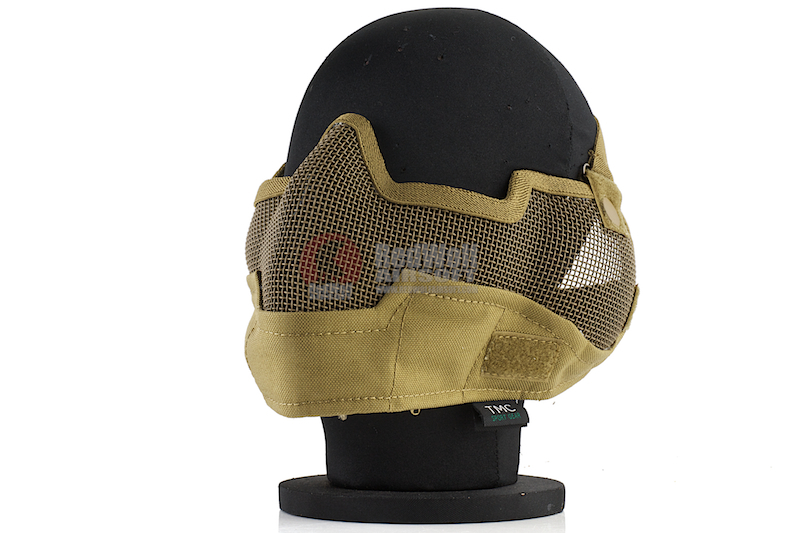 These masks are available in different colored version including black, khaki and fully licensed Crye Precision Multicam. Furthermore, another upgrade over the version one is the addition of a fabric wrapped padded layer which allows for a tighter more comfortable fit around the jaw and chin. Mesh masks allow breathing and talking through it unobstructed and as such are not as uncomfortable as solid masks nor do they have as much issues with fogging the eye protection or muffling your voice as much. That said, as a mesh mask it will stop broad objects but offer nothing for fine particulates so sand, dust, smoke and the like with drift through and high power BB strikes can result in BB fragments passing through the mesh (albeit it at a reduced velocity) but it has been tested up to and including repeated strikes at short range with 2 joule / 465fps weapons with no problem (again, no promises about fine particulates though). 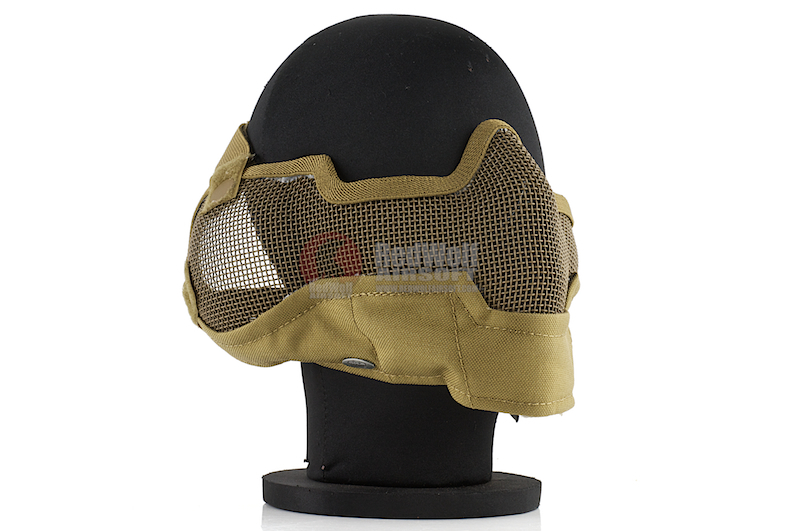 Mesh masks offer one of the cheapest lower face protection options in Airsoft and offer advantages with breathing and communication but are otherwise not very suited for longer range use or when protection from environmental debris is a factor. 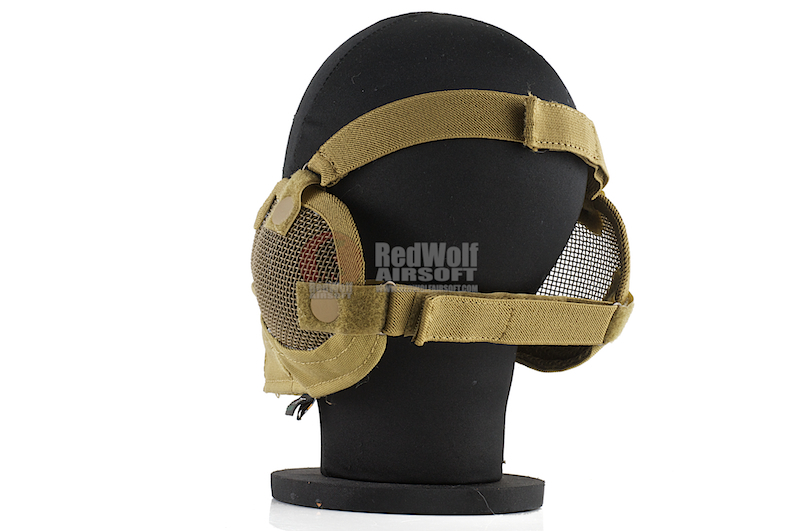 When playing at shorter range and indoors with lower powered weapons however, the mesh mask can offer a very suitable option without hurting the wallet. 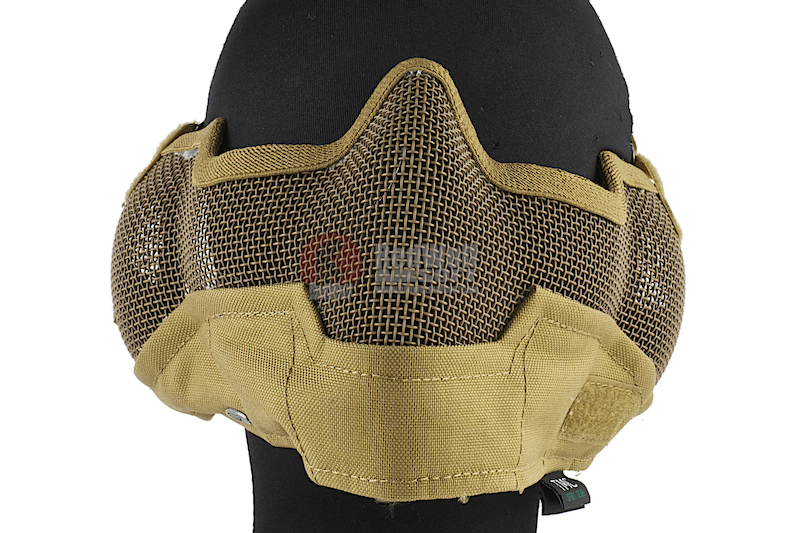 Its also a nice choice for those of us who avoid lower face protection entirely due to fogging issues and so having one of these as the alternative to nothing at all can be all the more of a worthy option.